The Curriculum Collection is a small collection of teaching materials which support teacher education at CSU, Chico. The collection includes kits, books, multimedia items, lesson plans and other curriculum related materials. The collection is currently located on the 4th floor, however, as of 2010 all newly purchased curriculum materials are being integrated into the Main Collection on the 3rd floor. The Curriculum Collection can be searched in OneSearch by selecting Location: Curriculum in the advanced search. 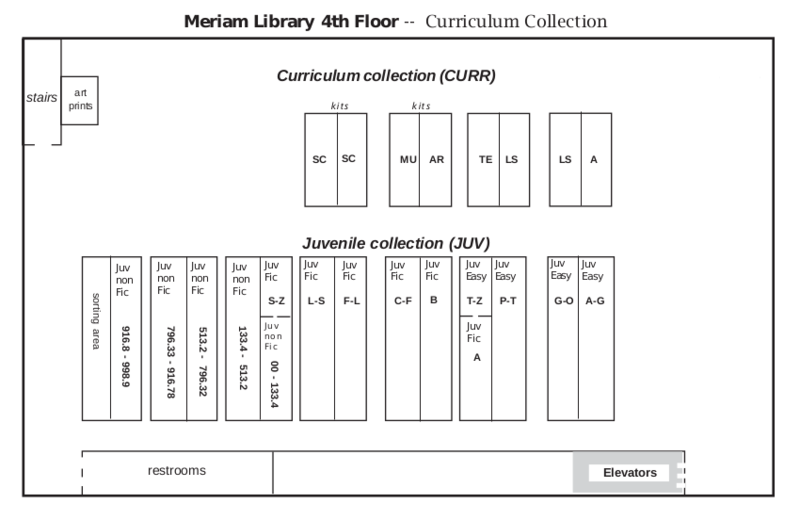 The Curriculum Collection uses a slightly different catalog classification system than is used in other areas of the library. Read the Curriculum Classification Guide to learn about how to locate items within the collection, and what the call numbers indicate. For more information contact Irene Korber, Education Librarian.